Serving time for a crime is a crisis for any inmate and their family, and personal connection is a crucial part of everyone’s recovery. That is why it is so important to make sure inmates can easily get in contact with you – their loved ones and friends. Getting cheaper rates for prison inmate calls is a helpful step to keep the communication going. There are many benefits to having cheaper rates: better mental health for inmates and their families, cost savings for families already in a bad financial situation, and fair treatment for prison inmates. For those who are incarcerated, being able to call loved ones is a necessity for mental well-being. 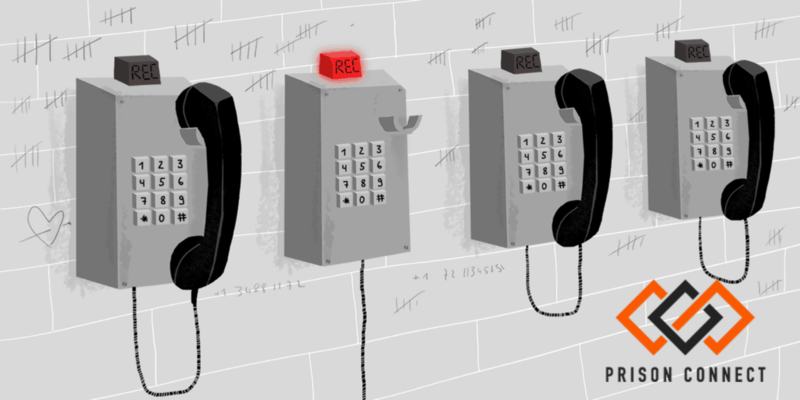 Many in prison have families, spouses, and children, but are not able to talk to them as often as they should because the price of making a call is too high. Frequent conversations with loved ones on a regular basis helps many inmates maintain social connections, which are incredibly valuable when it comes time to re-enter society. It also aids in mending family relationships when the inmate is released. Especially when children are involved, being estranged from their parent with the inability to contact them inhibits the relationship significantly, and keeps the vital parent-child bond from forming. Keeping phone rates low for prison inmates helps not only those on the inside but those on the outside as well. Families with a loved one in prison often find themselves in financial hardship, making it almost impossible to afford the exorbitant phone rates imposed on prisoners. While the inmates are typically the ones directly charged for a phone call, the families are ultimately the ones providing the funding. Having cheaper rates for prison inmate calls helps those in crisis save on their phone bills – sometimes as much as $10-$20 per call! This may seem like a small amount, it definitely adds up. It can certainly make the difference when it comes to providing groceries for the family – you should be able to have food AND talk-time with a family member. Lower rates help to relieve the financial burden and make family connections a priority. Prison inmates, while serving time for a crime, are still citizens and human beings; they deserve to be treated with respect. Many companies seem to jump at the chance to take advantage of inmates and their loved ones, charging higher rates because they know the inmate has no choice but to pay. This ethical debate over the fairness of charging inmates outrageous rates, exponentially higher than what other citizens pay, has been going on for years. Reducing the rates of prison calls takes an emotional burden off the families and inmates in addition to relieving their financial burdens. Unfortunately, it is hard to predict. There are various variables to consider: your location, type of prison, prison phone provider etc. It can be anything between 30%-90%. You should Sign Up and try our first free month. You’ll see the result. I pray that this is a legit company because I got ripped off $68.23 and was not able to use the unlimited minutes nor was I able to get my money back. I hope you’ll have a direct number instead of an email to contact you directly if I need to. I look forward doing business with you’ll because I talk to my husband everyday and it becomes stressful when I don’t have the funds to talk to him so I hope you’ll can be some assistance. Here, in PrisonConnect, we are proud of our clean record. Our mission is to make calls affordable for all and fight those major prison phone providers and their ridiculously high rates. We personally understand how bad the current connections system is. What we are doing is helping you talk more with your loved one and pay less.